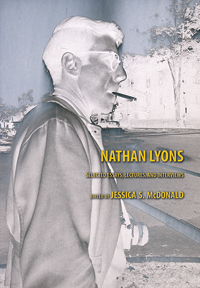 Cover of "Nathan Lyons: Selected Essays, Lectures, and Interviews" (UT Press, 2012), edited by Jessica McDonald. Jessica S. McDonald, the Ransom Center’s Nancy Inman and Marlene Nathan Meyerson Curator of Photography, speaks with photographer, curator, and educator Nathan Lyons about his career and role in the expansion of American photography on this Thursday, November 8, at 7 p.m.
McDonald edited the anthology Nathan Lyons: Selected Essays, Lectures, and Interviews (UT Press, 2012), which provides the first comprehensive overview of Lyons’s career as one of the most important voices in American photography. Below, McDonald shares insight about Lyons. A relative newcomer to the arts and humanities, photography’s history is still largely uncharted, contested, and complex. The full impact of major figures on the development of this young field, especially during the American “photo boom” of the 1960s and 1970s, has not yet been accounted for. The historical complexity of this era became especially fascinating to me during my tenure in the Department of Photographs at George Eastman House, the museum of photography and film in Rochester, New York, that was a key center of creative and intellectual activity when few other museums collected photographs. In Rochester I met Nathan Lyons, a figure who has had an inestimable impact on the history of photography in the United States and its expansion over the last five decades. 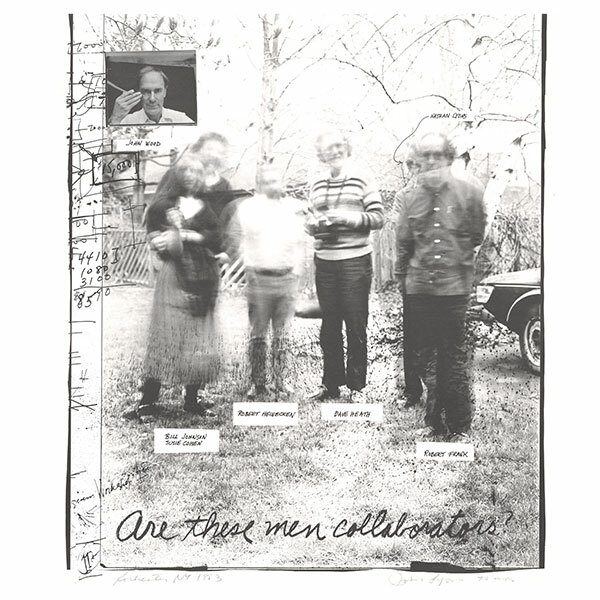 As a curator at Eastman House in the 1960s, Lyons organized some of the most groundbreaking and ambitious exhibitions of the time, and he later founded the Visual Studies Workshop, an independent arts organization and graduate program that trained the next generation of photographers, critics, curators, and historians. Lyons played a role in founding many of photography’s important organizations, including the Society for Photographic Education, and consistently advocated for photographers to funding agencies such as the National Endowment for the Arts. All the while he was an active photographer, exhibiting his work at nearly every major U. S. museum and publishing several volumes of his own photographs, including Notations in Passing (1974) and Riding 1st Class on the Titanic! (1999). In 2008 I began formally researching his role in American photography, and with his cooperation—including generous access to his files and countless interviews—I put together a volume of his photographs and writings. Lyons will join me in conversation at the Harry Ransom Center this Thursday to celebrate the publication of Nathan Lyons: Selected Essays, Lectures, and Interviews, published this year by UT Press. The presentation will combine photographs representing Lyons’s artistic development with a discussion of his pivotal essays and lectures. We will also consider contributions from important scholars in the field who have written on Lyons’s work as an artist, his influence as a curator, and his widespread impact as an educator. A book signing follows. The program will be webcast live Thursday starting at 7 p.m. CST.